WASHINGTON (Feb. 05, 2014) -- The Army has announced changes to retention control points for Soldiers in the ranks of corporal through sergeant. The changes took effect Feb. 1. Retention control points, or RCPs, refer to the number of years a Soldier may serve to, at a particular rank. For example, the retention control point for a staff sergeant is 20 years. He must retire at 20 years, unless he is promoted to sergeant first class. 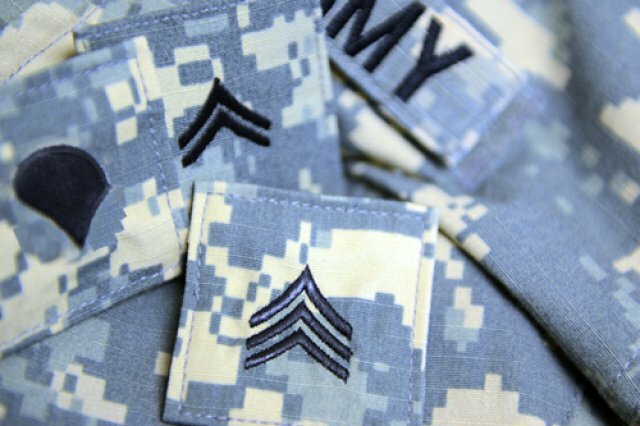 The Army has announced changes to retention control points for Soldiers in the ranks of corporal through sergeant. The changes took effect Feb. 1, 2014. Army ALARACT 026-2014, "Change to retention control points for enlisted Soldiers serving in the regular Army or under the Active Guard Reserve Title 10 programs," released Jan 31, spells out the changes in detail. The new RCP for promotable corporals and specialists is eight years. That is down from 12 years, as spelled out in an earlier 2011 ALARACT. The new RCP for sergeants is 14 years, up from 13. And the new RCP for promotable sergeants is 14 years, down from 15. The changes apply to Soldiers serving in the active Army. It also applies to Soldiers in the Army Reserve or Army National Guard who are serving under Active Guard Reserve Title 10 programs, but not reserve Soldiers who are mobilized. According to Paul Prince, Army G-1 spokesman, Soldiers who are not serving on an indefinite re-enlistment and who reach their RCP during their current enlistment agreement will perform active service until they reach their expiration term of service date.